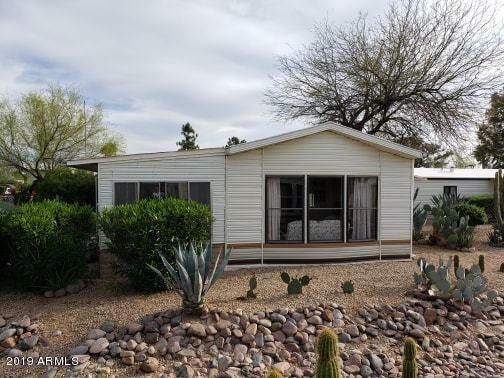 All HAPPY TRAILS RESORTS NO 2 homes currently listed for sale in Surprise as of 04/20/2019 are shown below. You can change the search criteria at any time by pressing the 'Change Search' button below. "This is a great 2 bedroom/ 2 bathroom Villa with a den and lots of extra room to spread out. This home has an added Arizona Room that makes it very spacious. The U shape kitchen has a built in microwave and dishwasher. There is indoor laundry which leaves the shed wide open for storage or a hobby room. The views from the patio are amazing with peek-a-boo views of the golf course and mountains. Seller is motivated. Make an offer!! 50% Closing Fee Discount Available"
"Don't miss an opportunity to have a villa in Happy Trails. 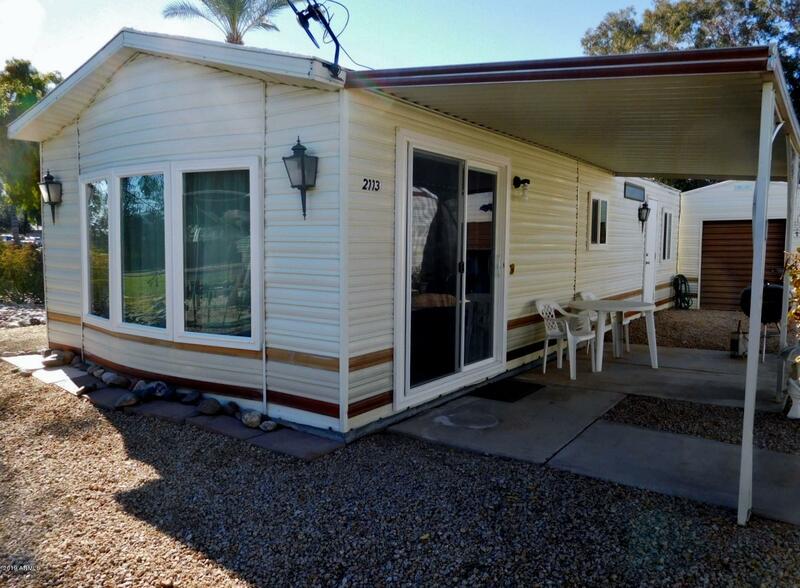 This 1 bedroom/1 bath villa has been updated with new windows, backsplash in the kitchen, dishwasher, and HVAC unit. It is ready for the 2019 season coming fully furnished. This is also a great investment property as the renters are always requesting to rent villas."